Points of View Artists Barbara and Craig Snapp are joined by guest artists Priscilla and David McKeith for Earth and Sky beginning on June 4. 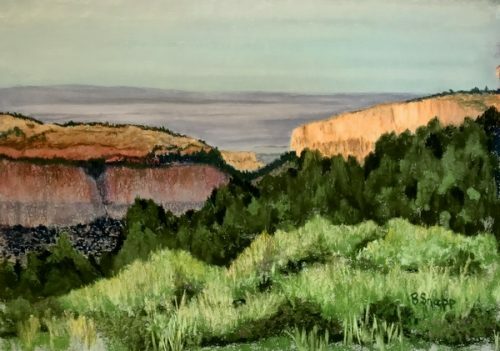 Their show includes stunning landscapes from Maine to California. On the 3rd floor, Alan Mast uses collage to craft fanciful artwork in Visual Entertainments. Reception: Friday, June 8, 5-7 pm. Gallery location and hours: 18 Pleasant Street; 9 am – 5 pm Monday through Friday. FMI: povartistsmaine.com; 207-373-9300.